I haven't been keeping up with my book reviews. Oops. 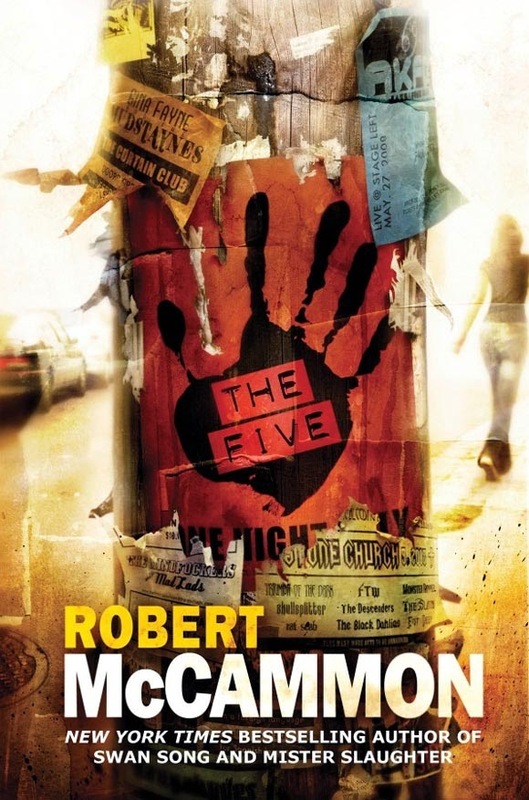 Well, here's one I've been reading for months and only just finished: Robert McCammon's The Five. Only minor spoilers here. The music. McCammon clearly has a passion for rock and roll. Not just the music itself, but the culture of it, the life of a musician, the meaning behind it all. That shines through on every page. From the dozens of fake band names to the cheesy lyrics of entirely fictional songs, The Five will make you love music even more. The subtlety. Those expecting a balls-out supernatural horror novel will be disappointed. The supernatural is there, but barely; like a whispered background vocal that only comes through when all the other instruments momentarily fade. It comes dangerously close to religious mumbo jumbo at times, but never quite crosses that line enough to ruin it. The ending. It just hits all the right emotional notes. The omniscience. Maybe only because it's so uncommon these days, but I find omniscient narration jarring. One paragraph it's inside one character's head, the next paragraph it's onto another character's thoughts, not so much as a scene break between them. I thought the purpose may have been to emphasize that the whole band was the main character, all so deeply interconnected that the story was told from their collective perspective (there's a band name, Collective Perspective). Except then the point of view changes to a random character standing in the background, so, not so much. The length. If The Five were an album, it would be half filler songs. The self-indulgent ballads that had to be there to get the album up to twelve songs despite only having six good ones. Except it's a book, so there's no hitting fast forward when you get to a whole page describing a minor side character's living room furniture. When it ends, The Five is, like the song that apparently inspired it, a bitter sweet symphony. It's ultimately satisfying, but there's a lot of boring making ends meet and being a slave to money before getting to the fun dying part.